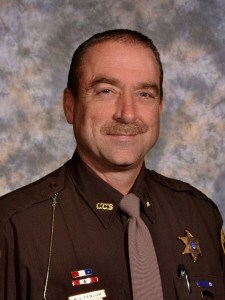 Deputy Fenlon is a lifetime resident of Cheboygan County and began his career with the Cheboygan County Sheriff Department in 1987. Deputy Fenlon has worked his way through the ranks and has worked in every division within the Sheriff’s office and has been assigned as the School Resource Officer for Cheboygan county school districts since the 2009/2010 school year. As the School Resource Officer, Deputy Fenlon works closely with all the school administrators to ensure the safest environment possible for both staff and students. Deputy Fenlon works as an educator teaching classes within the schools, counselor for both students and parents, and a mentor to students who are in need. Deputy Fenlon has made himself available to both parents and students by posting his cell phone number (call or text) on this web site and publishing posters within each of the schools.